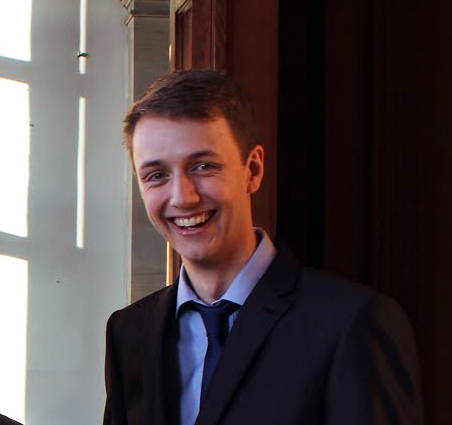 My name is Aaron and I am a graduate of Management with Marketing from Leeds University. I left university just over a year ago to join a renewable energy company in Nottingham called EvoEnergy. I’d always had the desire to start my own company, so with some experience under my belt, I finally took the plunge early this year and started a small digital marketing agency called Impression with my colleague. We started working with small businesses and charities of friends, but since then have grown to service a handful of large national clients. Impression is a digital marketing agency; we provide solutions for businesses looking to attract customers through various mediums utilising the internet. Our core services are website design and development, search engine optimisation and pay per click advertising management. I was able to learn a lot of the skills I needed for my current role whilst working part-time during university. A combination of what I learnt in lectures about marketing and a marketing role at a digital marketing agency helped me put into practise what I was learning through my course, as well as giving me real world experience. My graduate job then allowed me to develop my skills further. I joined as Online Marketing Manager, so instantly had responsibility for budgets well into six figures. It’s also here that I further developed my skills in search engine optimisation and website development. Now, being the MD of a growing small business, my role has changed significantly. In addition to spending time on marketing our own business, as I have done before, we now have a handful of clients’ businesses that we work with on a daily basis. I also need to keep an eye on the finances, make sure the business has the correct IT setup, make sure we’re in the most suitable office space we can afford, as well as paying our bills and our staff. Could you be a digital marketer? Digital marketing isn’t an easy game to get into, but the digital economy is growing rapidly and there will always be positions out there for those willing to learn the ropes. In fact, the digital economy in Leeds is significant; a quick search online will throw up some great graduate training opportunities. I think a good digital marketer needs to have an analytical mind. The data you can find on each online marketing campaign can be endless. There’s a skill to stopping when you have enough! Looking for patterns, correlations, anomalies, plus actually understanding the meaning of those numbers will allow you to excel in your team. Good writing skills are also important. Online advertising involves a lot of copywriting; the adverts themselves need copy, but there’s also a lot of article content to be written too. Some online marketers also stand out from the crowd because they have excellent Excel or programming skills. If you can save time for yourself, and then roll that solution out to a larger team, then you will definitely gain the attention of both your peers and your bosses. How easy is it to set up on your own? Starting up a company on your own is not an easy feat. Bank loans are increasingly harder to come by, if not impossible, and venture capital funding isn’t commonly available in all businesses sectors. We started Impression whilst both in full time work. I left my job to take on contract work with an understanding business owner with whom we’re now working closely. By freeing up my time I was able to make pitches during the 9-5 week, and take business calls during office hours. We didn’t have an office to begin with, and we saved every pound that we could in the company bank account until we knew we could afford to get an office, equipment, furniture and start paying a salary. It may not be the most advised solution to funding a business, but we’re now trading successfully, and totally debt free. We’ve spent a lot of time looking for information on what to do to start a business well; there’s a lot of conflicting information out there. I’d recommend you visit Spark or the Leeds Enterprise Centre if you’re serious about starting a business whilst in Leeds, as they can help financially as well as pointing you in the right direction. The harsh reality of starting a business is that as soon as you take that step, your salary is no longer guaranteed. In my opinion, timing is everything. Is anyone out there thinking of starting their own business? Let us know in the comments below. If you’re thinking of starting your own business we provide a range of support through our Spark service, including advice, workshops, mentoring and access to financial support. Wow! It’s nice to hear as i used to visit the blog and used to read your post and i hope it helped me and thanks for sharing it then Congrats. That’s very good indeed but I will not advice anyone to leave job to start digital marketing agency. The preferable model will be starting agency as a part time job but once you will have enough client you can leave you job to focus on your agency work. Sound Good?? Thanks Mike – sound advice! Thank you, Louise.